at that point, Agbara’s most recent piece of work. Originally featured in the Oldham Open exhibition. 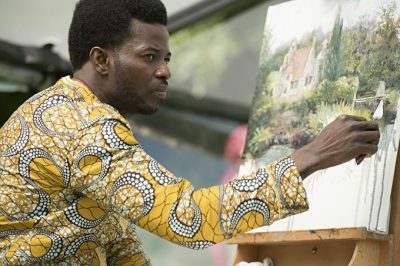 Join us for this special talk to hear Agbara discuss his painting techniques, his artistic career so far and future plans. This event is part of the Art Talks with Art Fund, a national programme of artist talks around contemporary art museums in the UK. Light refreshments provided. Free – booking essential via Eventbrite.